NEW DELHI: The BJP on Sunday hit out at Rahul Gandhi over his “a question a day” social media campaign and said the Congress leader’s questions don’t merit an answer, reports Times of India. 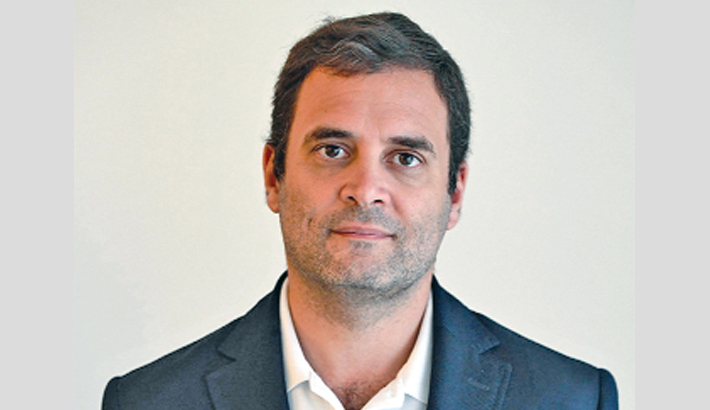 In the run-up to the Gujarat assembly election, Rahul had taken to Twitter to question Indian Prime Minister Narendra Modi for 22 years of misgovernance in the state. “22 salon ka hisaab, Gujarat mange jawaab (Gujarat demands answers for 22 years of BJP rule,” is the tagline of Rahul’s posers to the prime minister. While Modi has yet to respond to the Congress vice-president, the daily quizzing seems to have irked other BJP leaders. Issuing a stinging rejoinder, Union minister MA Naqvi suggested that Rahul brush up on his knowledge of India’s politics and culture before raising questions he barely understood. “Jinhe baigan aur burger ka fark nahi pata, pyaz aur pizza ka fark nahi pata vo sawaal kar rahe hain. Pehle vo desh ki siyasat aur sankstriti ki ABCD batayen, jis din unhe pata chala us din sab jawab khud mil jayenge,” Naqvi told news agency ANI. Taking a different tack, Union minister Jitendra Singh advised the Gandhi scion to change his script writer, a snide reference to allegations that Rahul’s growing popularity on social media is stage-managed by a team of experts. “Its high time he gets his script writer changed. This college level poetry type statements don’t deserve a response,” Singh said of Rahul’s lyrical salvos at the PM.